JAMB candidate nabbed with gun at examination centre – Royal Times of Nigeria. 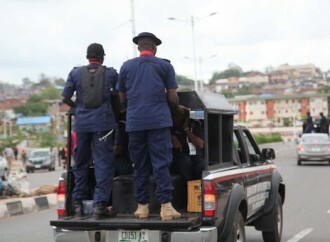 The state commandant of the NSCDC, Mr. Bashir Lawal-Kano, told journalists in Lafia on Thursday that the suspect was arrested at the Nasarawa State Polytechnic centre during a search at the entrance to the hall. “We had reports of some criminal elements posing as our recruitment agents and following our intelligence, we arrested the suspect with full uniform of NSCDC and forged recruitment forms,” he said.